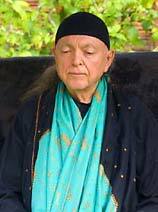 Avatar Adi Da Samraj has Given a Way that, in essence, is supremely simple. From beginning to end, that Way is the ever-deepening devotional recognition of Him — as the Revelation of the Love-Blissful Truth of Reality Itself. When one devotionally recognizes Avatar Adi Da, one is immediately moved to demonstrate the devotional response to Him. That heart-movement — of devotionally recognizing Avatar Adi Da and devotionally responding to Him — is lived and expressed through the three fundamental dimensions of the Reality-Way of Adidam. These three dimensions — which are practiced throughout the entire course of the Reality-Way of Adidam — are described in Part Two [of The Reality-Way of Adidam]. These fundamental dimensions are never to be engaged as any kind of "technique" to "get somewhere" in one's practice of Adidam. Rather, they are simply the "evidence" of the fundamental process of devotional recognition and devotional response. The foundation of the Reality-Way of Adidam is always "radical" devotion to Avatar Adi Da Samraj, Who is recognized at heart to be the Revelation of Reality Itself — both in His human Form and in His Eternal Divine Form. Such devotion is "radical" because it is a spontaneous response to Avatar Adi Da with every faculty of the body and mind, and is resonant with Him at the very "root" of the being, prior to the presumption of a separate self. Once devotional turning to Him is fully established, it becomes a moment to moment devotional Communion that Avatar Adi Da calls "searchless Beholding" of Him. In devotional response to Avatar Adi Da Samraj, through fulfillment of His Instruction, the devotee lives a comprehensive discipline of right life based on the non-seeking disposition Revealed in devotional Communion with Him. This includes specific practices relative to all aspects of practical and relational life — including money, food, sexuality, and social relations — as well as a sacred life of meditation, worship, and service in cooperative association with other devotees of Avatar Adi Da Samraj. Through this life — founded in the equanimity of Communion with Avatar Adi Da Samraj — the being is purified of ego-patterning and becomes more deeply available to Avatar Adi Da's Blessing and Transmission. Adi Da Samraj Calls His devotee who is founded in devotional recognition-response to Him and who is living right life to intensively "consider" and be established in the "Perfect Knowledge" of Reality Itself. He makes this Offering first via rudimentary and "preliminary" forms of listening-practice for His beginning devotees — and, ultimately, for mature practitioners, via a "Perfect Practice" — of "Perfect Knowledge". In devotional Communion with Avatar Adi Da, it is Revealed that no "object" or "knowledge" or "subject" or "point of view" is True or Real — but, rather, Reality Itself is Shown as the Prior and egoless Condition that is Always Already the Case. Even from the earliest moment of the embrace of Adidam, these three aspects of Avatar Adi Da's Reality-Way are both the means and the demonstration of ego-transcending devotional Communion with Him: In recognition-response to Avatar Adi Da Samraj, identification with the separate body-mind-self is transcended, and He Reveals the Prior Freedom of His Reality-State. Part Three is a description of how, in the Transcendental Spiritual process of Adidam, these three dimensions are the searchless basis on which Avatar Adi Da's Transcendental Spiritual Grace Awakens Realization of His Reality-State. "Radical" devotion to Me is right and true devotional recognition of Me, always responsively whole bodily turning to Me and searchlessly "self"-surrendering to Me — on Sight. Right life is straightforward obedience to Me, without reservations (or "looking right and left"). The preliminary practice of "Perfect Knowledge" is the attentive Listening to My Divine Avataric Revelation-Instruction relative to Reality Itself — Which Is Always Already The (One and Only) Case, and Which Is Self-Evidently Divine (As Is). "Radical" devotion to Me, right-life obedience to Me, and "Perfect Knowledge" of Me are — all three — implicit (or Always Already Given, by and As Me) in right and true devotional (and, in due course, Transcendental Spiritual) Communion with Me (As I Am).